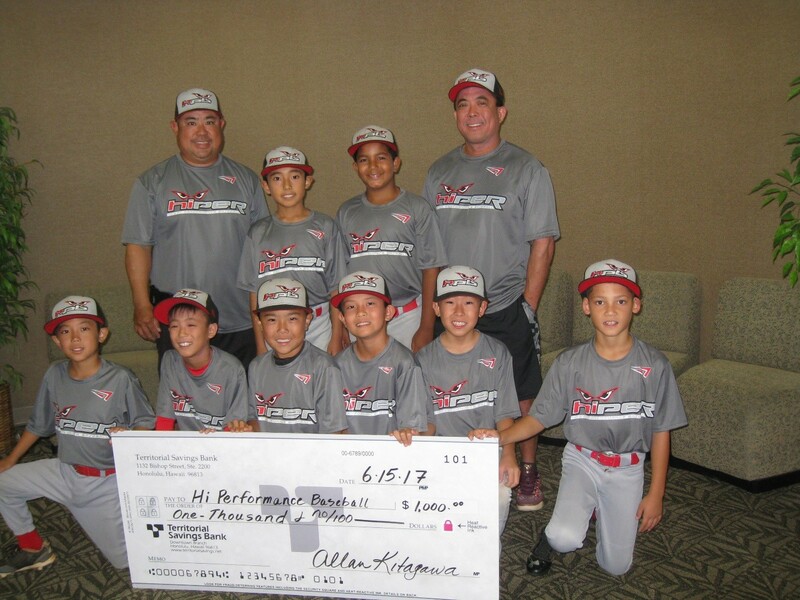 Hi Performance Baseball League, Members of the HiPer Gray ’07 Team, Included in Photo (From L to R), Front Row: Reese Higuchi, Caleb Nakamoto, Tad Kobashigawa, Ian Torigoe, Ty Shimabukuro, and Anson Bagoyo. Back Row: Coach Dean Kobashigawa, Karch Cho-Tupua, Jordan Lowery, and Coach Chad Nakamoto. “We’re so glad to be able to give back to our community. By supporting youth sports programs like Hi Performance Baseball, we hope to support the programs and activities that our customers and their families are involved in,” said Walter Ida, Senior Vice President of Investment Services at Territorial Savings Bank.